Namdrol wrote: The Vajrayāna view of awakening is that awakening is very much based in the body as this passage from the Hevajra Tantra shows. The key to awakening in Vajrayāna in general is embodiment. The mind/matter dualism (ala Decartes) we find in sutra is superceded in Vajrayāna, that is the key to why Vajrayāna is more rapid. I'm not sure that I agree with your interpretation of this passage exactly. But any how the point with vajrayana is that embodiment implies the deluded self is replaced with an alternative self - the deity. Obviously for this path to be genuine the deity (as embodiment) has to be seen as inconceivable. Certainly not identified with with concepts. A brain can't hold the knowledge of a buddha. A brain is limited and finite. So the point for me is to go beyond thinking mind - go beyond brain-based reasoning. Truly buddhas don't have brains otherwise they would be limited - Shakyamuni died did he? But what buddhas have instead of brains is inconceivable. The deity is inconceivable - it is not an object of knowledge. It is the inconceivable that I take to be the main focus of my practice. This is what I take from discussing the importance of the brain. That what is brain-based is false that knowledge of 3 times is false. That whatever my limited brain-based view perceives is not mistaken for the ultimate - and that would include the 4 visions. AlexanderS wrote: So is awakening possible in Dewachen? Of course I could suppose one has a body there too. Even in sutra it is stated that in order to awaken one must be a human being. Threfore, embodiment in general is precondition of awakening; human embodiment is the specific precondition. Andrew108 wrote: That whatever my limited brain-based view perceives is not mistaken for the ultimate - and that would include the 4 visions. The entire point of the detailed analysis of gestation in Dzogchen is to explain the physical development of the channels that make the four visions possible. Andrew108 wrote: A brain can't hold the knowledge of a buddha. Why? This is a mere assertion on your part. Why limit one part of a Buddha's sensory apparatus when you don't, for example, limit his tongue? A Buddha's tongue, according to reports, can see and hear. Why should a Buddha's brain be restricted to some limitation if the rest of his body is not? The reason why buddhas are omniscient is that all objects of knowledge are illusory. Omniscience is not a function of memory addresses in a chip, after all. There should be no reason why having a human brain should limit a buddha at all. A buddha without a human brain however is an impossibility since possession of a fully favored human body with all senses intact and functioning is a defined precondition for awakening. It is also a defined precondition for receiving Vajrayāna empowerments. Why? If one's organs are damaged and incomplete, it is held that ones body mandala is incomplete and that one will not be able to fully awaken in a single lifetime via Vajrayāna methods. @ your previous post - Yes that seems to be the case - however the point with the four visions is that they are experiences that infer rather than embody. You have experience of what it is like but until the body passes away you don't embody 'the inconceivable'. The 4 visions are a body/brain-based simulacrum until the body passes. Namdrol wrote: A buddha without a human brain however is an impossibility since possession of a fully favored human body with all senses intact and functioning is a defined precondition for awakening. So was the buddha a buddha or a human? Andrew108 wrote: @ your previous post - Yes that seems to be the case - however the point with the four visions is that they are experiences that infer rather than embody. You have experience of what it is like but until the body passes away you don't embody 'the inconceivable'. That is completely not true. If it were, the so called "great transformation body" ['pho ba chen po] would not be possible. Your view is more similar to the Gelug interpretation of illusory body i.e. one needs to discard this gross body at the time of death etc. Such a view is definitely not the view of Dzogchen. The 4 visions are a body/brain-based simulacrum until the body passes. This is also not how the four visions function according to the anatomy of Dzogchen. Last edited by Malcolm on Tue Sep 20, 2011 5:09 pm, edited 1 time in total. The Buddha was a human being who fully awakened. Then he was a buddha. You can consider human beings to be larval buddhas, just as caterpillars are larval butterflies and moths. Namdrol wrote: That is completely not true. If it were, the so called "great transformation body" ['pho ba chen po] would not be possible. So does the practitioner who achieves 'great transformation body' and I'm thinking only of Guru Rinpoche and Garab Dorje still have a brain after this transformation? Andrew108 wrote: So does the practitioner who achieves 'great transformation body' and I'm thinking only of Guru Rinpoche and Garab Dorje still have a brain after this transformation? Not only that, Longchenpa is held to have been a buddha. I have some of his brain relics. So clearly, these two Buddhas had brains. (can't beleive I am having this conversation). 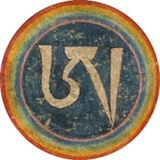 Furthermore, the Dzogchen tantras list a kind of ring sel, a ka ri ram, which is based on the brain and the nerves. Last edited by Malcolm on Tue Sep 20, 2011 5:23 pm, edited 2 times in total. Consciousness is very complex. It takes it's base in the heart in a small rupa. Visual consciousness is based in the rupa of the organ of the eye. Hearing consciousness in the rupa of the ear organ, and so on. The whole body and all the nerves are involved in complex ways when it comes to thinking. The brain is only one factor. It is caused by delusion. The system is super complex. And western science has gone past it's infancy but is still learning to walk (or maybe crawl). Namdrol wrote: Not only that, Longchenpa is held to have been a buddha. I have some of his brain relics. So clearly, these two Buddhas had brains. (can't beleive I am having this conversation). Well do you have any Guru Rinpoche brain relics? To what extent was Longchenpa's brain a contributory factor in his enlightenment? Virgo wrote: Consciousness is very complex. It takes it's base in the heart in a small rupa. Visual consciousness is based in the rupa of the organ of the eye. Hearing consciousness in the rupa of the ear organ, and so on. The whole body and all the nerves are involved in complex ways when it comes to thinking. The brain is only one factor. It is caused by delusion. The system is super complex. And western science has gone past it's infancy but is still learning to walk (or maybe crawl). Apologies if I sound negative but I would say that Western science seems to have more of a grip on the issue than you have. Very important -- I dare say that without he is could not have engaged in the cultivating the three prajñā: hearing, reflection and cultivation. Not to mention his memory would have been terrible without a brain. I'm happy and content with the grip that I have now. I don't need to understand much more about the brain, except what I have to learn in my nursing studies. To me anything else is irrelevant. That's not to say I wouldn't want a good brain surgeon though if I needed surgery! My point is that as far as Western science goes, when we can easily travel to other star systems and set up camps there, when we create energy at practically no cost, and so forth, at that time check back with what science says about the brain and it's role and their ideas then will probably be a world away from what they think now. Western science really is just developing. We've made a lot of advances, but it is still not very mature yet. Anyone who is developing the path, has to have a brain. Namdrol wrote: Very important -- I dare say that without he is could not have engaged in the cultivating the three prajñā: hearing, reflection and cultivation. Not to mention his memory would have been terrible without a brain. Yes yes this is obviously correct. But you are missing the point that I'm making. Here we are talking about his enlightenment. In what way was his brain involved in his enlightenment. In what sense does enlightenment transcend brain-based activity? Enlightenment that breaks out of the box of the six senses - or out of the office so to speak - so that it stands by itself and is not reliant on the brain. Can you understand the point I am making? It is already out of the box, always been out of the box. Keeping Samsara going is a hard work. A grip? A clarifying "progresive" way through woods of philosophical opinions or theories about causalities? What about no any fixation (no fishing identities/labels) in the self-freeing interdependent play?